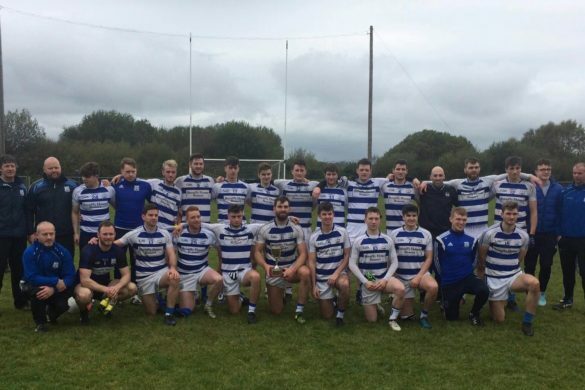 Breaffy made a winning start to their 2019 Mayo Senior Championship campaign with victory over a stubborn Davitts side in Ballindine on Saturday evening. 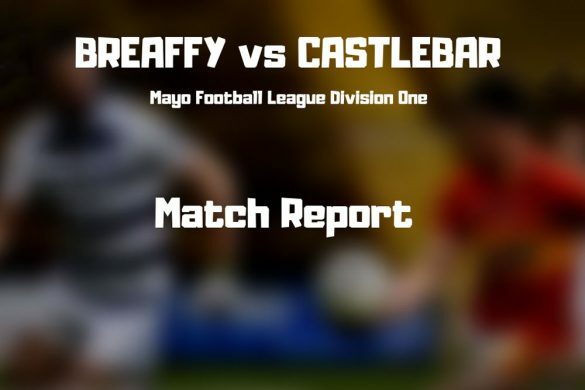 A strong second half display from the visitors was ultimately enough to see off the challenge of their South Mayo hosts on a scoreline of 1-10 to 7 points. Liam Irwin was Breaffy’s star man on the night. His 5 points, 3 from frees and 2 from play in testing weather conditions provided the platform for victory. Breaffy started well with Daire Morrin opening the scoring in the second minute after finding himself in an advanced position. Davitts responded quickly and Ronan McNamara curled a beautiful free kick over the bar with the help of the strong breeze to tie the scores. Tommy O’Reilly chipped Breaffy back into the lead 10 minutes later after finding space on the left side of the attack to score from a similar position to Morrin, before a monster of a free, again from McNamara tied the sides up once more. Irwin notched his first score of the game after 20 minutes, guiding a beautifully struck placed ball over the black spot. 2 minutes later, Michel Conroy levelled for Davitts, although his pointed effort was executed with goal clearly on his mind. A long, wind-assisted ball from a Colm Boyle free evaded the Breaffy defence to land in Conroy’s arms. His attempt to lob Rob Hennelly however, also cleared the crossbar. Irwin and Keith Prendergast traded points before a third Irwin free in first half injury time left Breaffy ahead at the break by a solitary score, 5 points to 4. Breaffy started the second half with a renewed sense of vigour and 5 points without response in the opening 10 minutes of the half set them on course for victory. Rory Martyn kick started the scoring before Tommy O’Reilly, Daire Morrin and 2 further points from Liam Irwin, one of which was a beauty on the turn from all of 45 metres strengthened the visitor’s lead. To their credit, Davitts battled back with a point from Colm Boyle before Irwin’s long distance free almost found its way to goal but for the alert reactions of Cian Naughton in the Davitts goal. Breaffy didn’t have to wait long before finding the net though, as 2 minutes later Stephen McDermott converted a penalty after Aidan O’Shea had been fouled in the large parallelogram. O’Shea was excellent defensively throughout and made a telling impact on this rare foray forward. Tommy O’Reilly played a beautifully weighted kick pass into O’Shea’s path and his rampage was only halted by a Davitts foul. McDermott stepped up to slot the penalty into the bottom right corner of the net, just out of the reach of Naughton. Breaffy had the ball in the net again just 2 minutes later after a wonderful flowing move, however Tommy O’Reilly’s goal was ruled out for an infringement spotted by the referee. 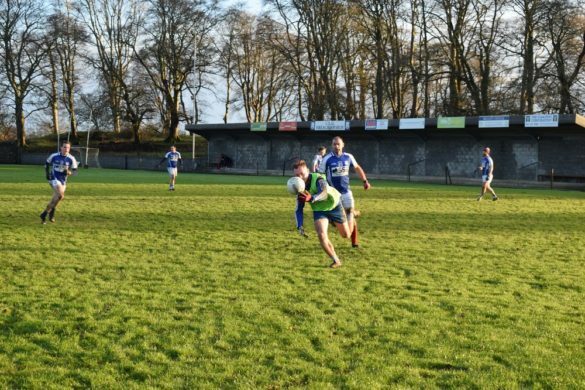 Davitts once again battled strongly and registered the final 2 scores of the game through Keith Prendergast and a free from the boot of Cathal Hennelly. 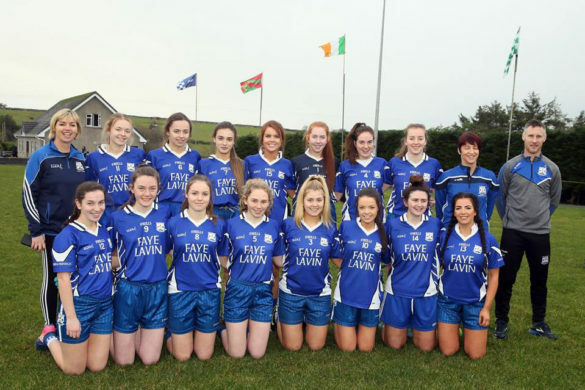 However, Breaffy had ultimately done enough at that point to secure victory and will be delighted to emerge unscathed from Ballindine to kick start their Championship campaign.